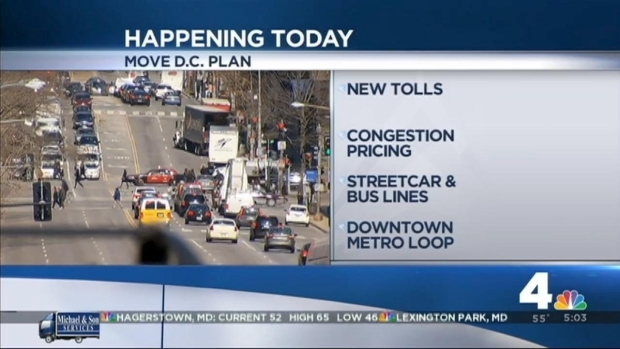 District of Columbia Mayor Vincent Gray has released a long-term plan to improve the city's transportation network. According to the plan, the District could see a new South Capitol Street bridge, more bike lanes and better-synchronized traffic signals. Toll lanes on Interstate 295 are also a possibility. The plan comes after 18 months of study, although Mayor Vincent Gray won't be in office to implement much of it. A new mayor will take over in January. Gray revealed the plan Tuesday while standing in front of the current, 65-year-old South Capitol Street bridge. He said that construction of a new, $600 million bridge could begin within a year. 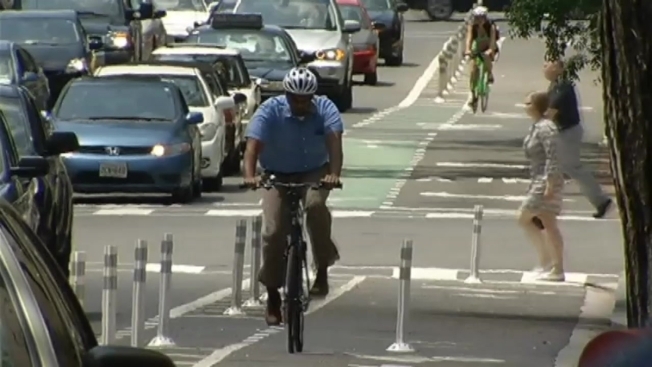 District of Columbia Mayor Vincent Gray is set to release a long-term plan to improve the city's transportation network. "And with this bridge behind me having a useful life of seven or eight years [remaining], it clearly has to be focused on..." Gray said. A new bridge could dramatically change how tens of thousands of vehicles move into and out of Washington every day. Gray released both a long-term, 25-year plan for D.C., and a shorter two-year action plan. He said that although he'll be leaving office in January, he won't stop working now. "I'm not going to engage people in a process and then just say, 'Just kidding, guys; we're gonna punt down the road'," he said. Gray said the next mayor will need to pay attention to transportation issues, and that any new mayor could build on the plan he's laid out. "I don't know how anybody, whoever the mayor may be, can ignore issues like that. That's why we tried to focus on it," he said. The District is projected to gain 170,000 residents and 200,000 workers by 2040.